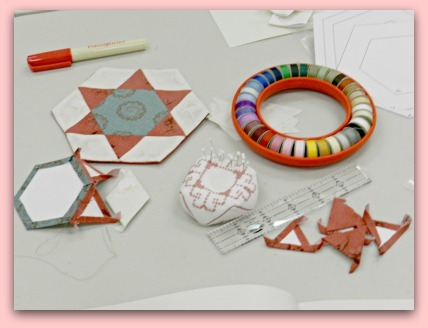 Yesterday, July 23rd, 2012, we had one of three - free classes on the New English Paper Piecing method by Sue Daley. What a lot of fun. 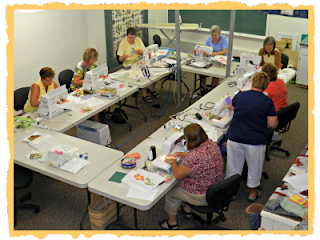 Sue Daley's books, patterns, and pre-cut papers are very popular right now. Come in today to see what all the excitement is about. It's Sunday, July 22 and I finally have a day off. I promised myself a full day of doing what I want and not going into the store. So here I am in my sewing room that my wonderful husband built for me sewing what I want and enjoy being home. If you are like me you have many projects on the go at one time. Presently, I have four. Today I am going to show you one of them because I'm so excited about it. 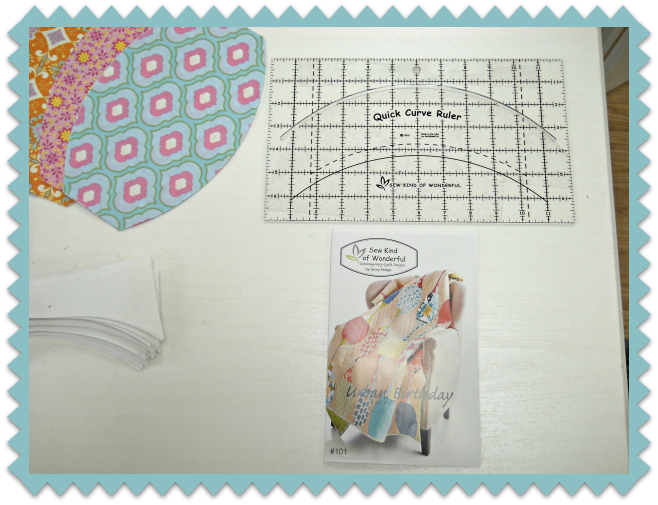 I wanted to do another quilt using the Quick Curve Ruler by Sew Kind of Wonderful. 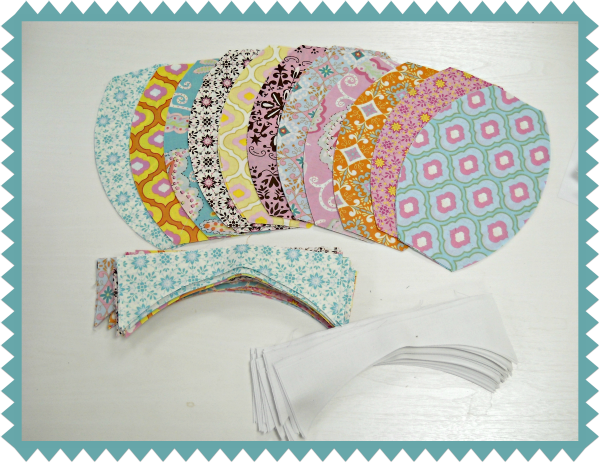 Jenny (of Sew Kind of Wonderful) has lots of patterns to choose from using her ruler, and I have had my eye on Urban Birthday for a while. I have also had my eye on a fabric line called "Pretty Little Things" by Free Spirit. This fabric and the Quick Curve Ruler can be found on our website www.thequiltbee.com. The first thing to be done was cut 9 inch strips from about eleven fabrics (this pattern is also layer cake friendly). 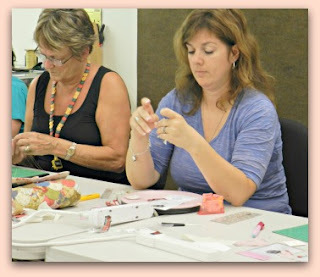 Then cut again into 9 x 10 inch rectangles. Then you do the same for your background colour.